The idea of having a Maronite church in Jacksonville started with a conversation, developed into a thought, then a dream blossomed and culminated into a reality. Eleven years have passed and it seems as if it was yesterday when Bishop Peter Tayah, then Pastor of Our Lady of Lebanon parish in Miami, celebrated the first Maronite Divine Liturgy in Jacksonville in San Jose Catholic church. His Excellency Archbishop Francis Zayek of the Diocese of St. Maron of Brooklyn, delegated him to visit the Maronites of Jacksonville and report about this new and dynamic community that was making itself noticeable in North East Florida. Bishop Tayah was so impressed that he arranged for Fr. Peter Boulos, then pastor of St. Jude Maronite Mission of Orlando, to visit Jacksonville once a month. Eventually, as Fr. Joseph Akiki replaced him, the visit became biweekly. A few months later Fr. Akiki was assigned to be the first resident pastor of the newly created Mission under the name of St. Maron of Jacksonville. On August 17, 1996, Mr. Elias Shami was ordained to the order of Subdeacon by Chorbishop John D. Faris, Vicar General of the Eparchy and acting under a special mandate from Archbishop Zayek. During the same Mass the acting Parish Council members were officially recognized as the first Parish Council of the Mission. On October 2, 1996, following the departure of Fr. Akiki, Fr. George Zina was asked to provide pastoral visits to Jacksonville on a weekly basis every Sunday to celebrate the Liturgy in the small chapel of Christ the King Roman Catholic church. This church was made available through the boundless kindness of Christ the King’s successive pastors. Later on Fr. Zina became the interim administrator of the Mission and was replaced subsequently by Fr. 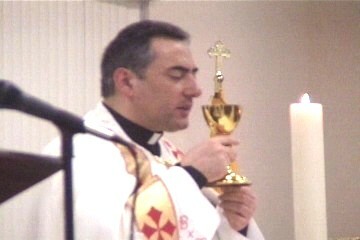 Peter Boulos, pastor of St. Joseph Maronite church of Atlanta. Another major milestone in our Mission’s history came in June of 1997, when through the outstanding generosity of the Beit Maroon community of Jacksonville, an amount of $130,000 was raised and the property on Bowden Rd was purchased. With the appointment of Fr. 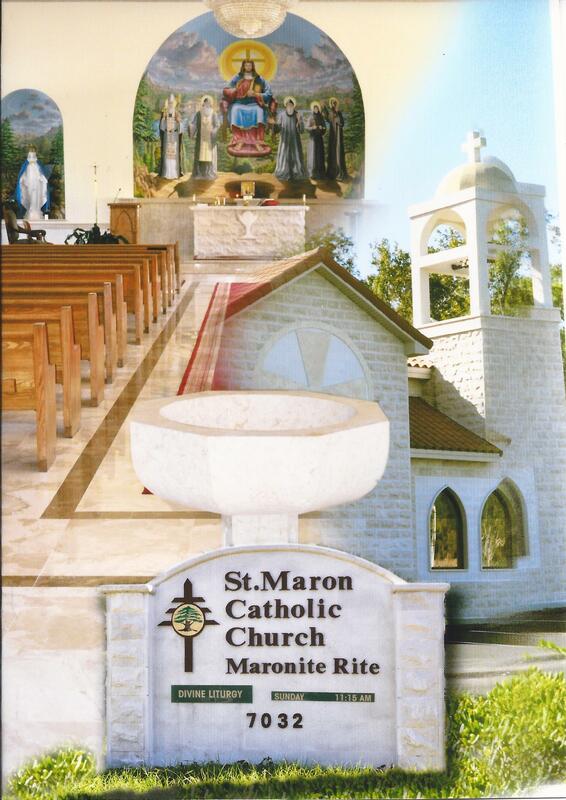 Elie Abi Chedid as a resident and permanent pastor, on November 4, 2000, the Maronite community in Jacksonville acquired the stability and leadership it needed for the final realization of its goal of building a Maronite house of worship in town. Our existing church/hall, which is phase one of our future plans, was blessed by His Beatitude and Eminence Nasrallah Peter Sfeir, Patriarch of Antioch and all the East for the Maronites, then under construction, during his Pastoral visit to the community on February 28, 2001; the church/hall was later completed and inaugurated on Palm Sunday in April 2001. Currently an estimated 95 families of Maronite and non Maronite Eastern Christians attend Sunday’s Divine Liturgy. The community embraces a highly educated class comprised of mainly professionals and businessmen. The different Maronite families in Jacksonville trace their origin to all four corners of Lebanon.